He also announced that France would close its remaining four coal-fired power plants by 2022 as part of the country's anti-pollution efforts. 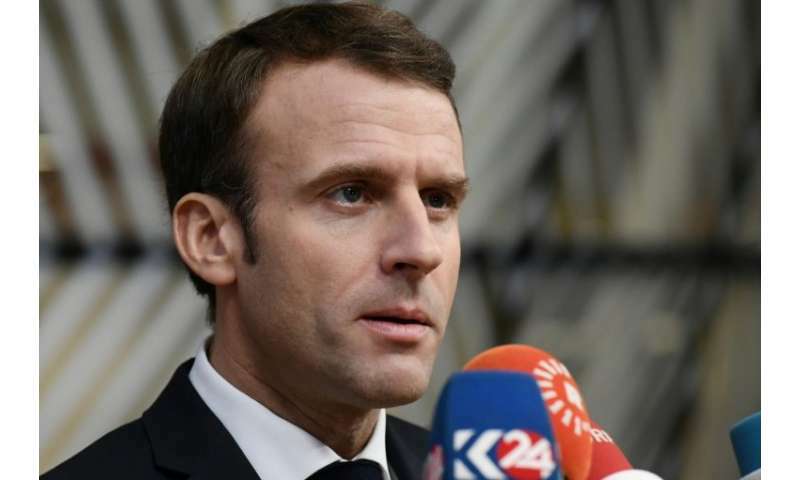 In a speech laying out the country's energy policies for the coming years, Macron said that "reducing the role of nuclear energy does not mean renouncing it". EDF has been building the first EPR reactor at Flamanville along the Atlantic coast of northwest France—originally set to go online in 2012—but the project has been plagued by technical problems and budget overruns. It's a good news for the faux-greens and the fossil-fuel industry that will keep lights on at night or on cloudy/snowy/windless days. But a bad news for birds and bats, natural landscapes and wildlife habits. A thing that drives me crazy is that the "renewable ideology", specifically wind and solar(backed up by coal/oil/gas/fracking to compensate intermittencies), has nothing do with the protection of environment and emission reduction. It's a "green" insanity favoring bird-choppers/landscape-destroyers backed up by fossil fuels over carbon-free nuclear energy, aside it's a crime in the face of Climate Change. Seeing the path that India goes, it would seem that thorium breeder reactors are a cheaper alternative to current uranium/plutonium reactors. And way cleaner too. A thing to be taken into consideration. One day farmers will grow their crops in multistorey hangars with artificial light and controlled environment, on shelves maybe 1 meter tall or less, thus achieving higher yields and freeing land and workforce. But one has to think about this when designing power production units today. We do not need the Faustian Bargain of nuclear technology. Closing down the nukes is a must (no, not just for safety/health and inability-to-store-the-waste reasons). 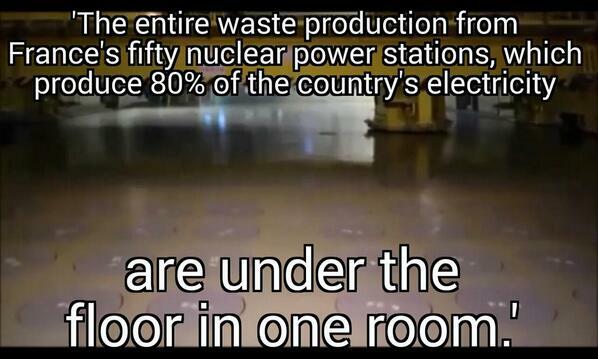 Nuclear power plants require water. Their steam turbines require cold water taken from rivers and produce hot water which is fed back into rivers. The hotter the climate gets the less efficient the steam cycle is (i.e. 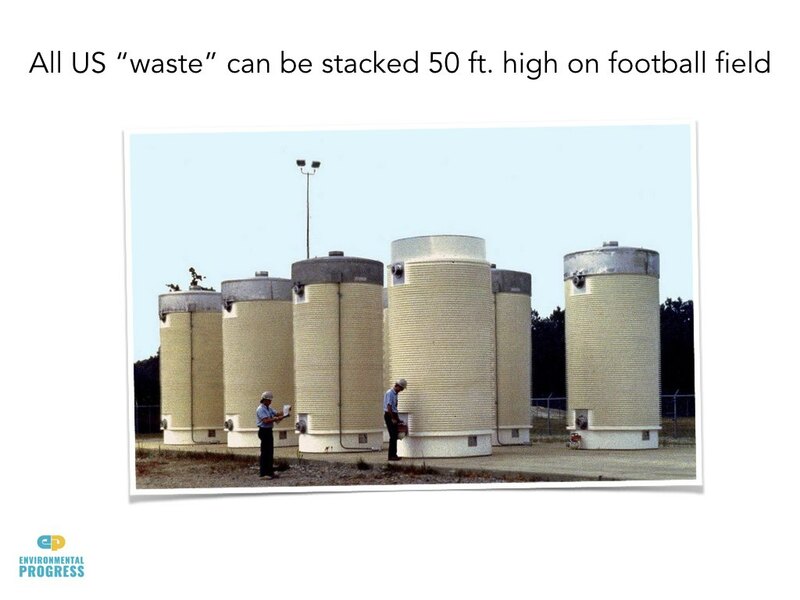 for the same amount of energy output from the nuclear fuel less power is being generated...which in turn means power gets more expensive over time). The warm water that is fed back into the rivers also kills the life in there. If you've ever lived in a country where there are dead rivers you know: that's something you wouldn't wish on your worst enemy (India might not care. They have enough dead rivers). Nuclear power is just bad business. 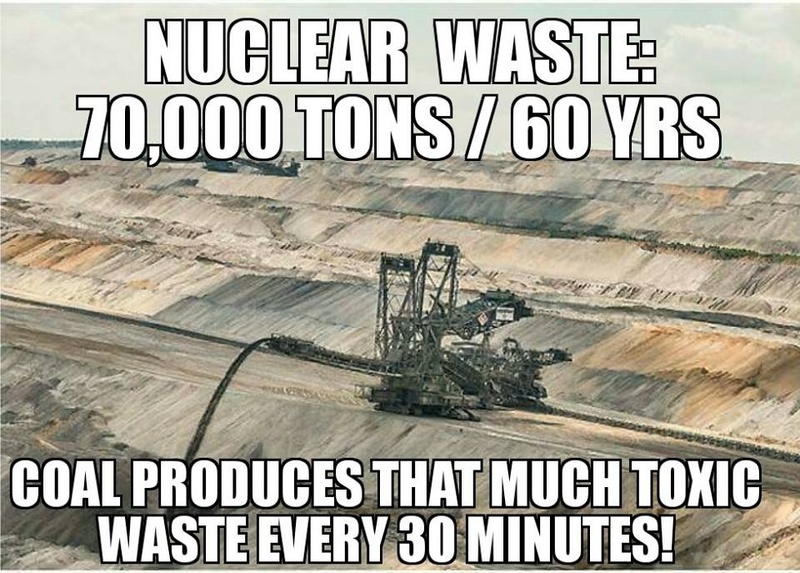 France is 80% powered by carbon-free nuclear energy and all waste over decades fits in a small room, unlike arsenides and other chemical carcinogens present in solar cells that are dumped directly into the environment and that never lose their toxicity along the time. "How wind power could contribute to a warming climate"
"Wind power can raise global temperatures, Harvard study finds"
Definitively intermittent renewables are not solution to Climate Change. Not to mention coal ashes, especially the flying kind of them. Those have uranium. Macron is an EU-controlled globalist dope. @anti, it isn't going to help to make up stories. The inner and outer loops of the heat exchanger are isolated from any water taken in from the environment. This is required by US reactor safety regulations. Your implication that water taken in from rivers is exposed to radiation, or even mixed with or exposed to water that has been exposed to radiation is incorrect. Only waste heat is put into river water, and only when the demand is less than anticipated so there is too much heat in the reactor. 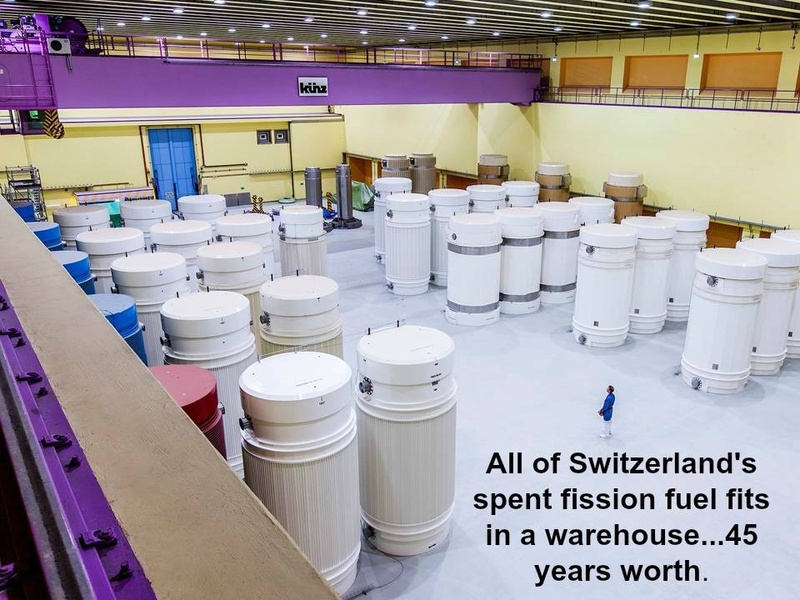 This is of course inefficient and wasteful of fuel so the reactor gets dialed down as quickly as possible to reduce the heat while still keeping sufficient heat to respond to a surge in demand. Now, what were you saying about rivers? Let's talk about this on a realistic basis. So folks understand what I said above, I said that the inner loop which takes the heat out from the reactor core, and the outer loop which takes the heat from the inner loop, are closed. Neither one is allowed to contact environmental water (usually river water) in any way that can transfer radiation to it. The insurance companies won't have it any other way. Imagine having to pay for every two-headed chicken (which is not uncommon, even without any radiation but background) for the next 20 years because you released radioactivity into the river water. OK, having had my rant, is this a good idea? Does Macron really believe in renewables that much? Politically and ideologically I agree with his decision, but I really have to ask: is he sure his people (the French) will have enough energy? It's actually important in world economics and politics. I'd really hate for France to start building coal electric plants; and yes, folks, they have coal, and they can buy plenty more elsewhere in Europe if they're unscrupulous because they're desperate. I don't believe they would unless it were a desperation move, but I'd rather not see it come to that. That's practically irrelevant. The nuclear powerplants run into environmental regulations before they see a significant impact in their efficiency - due to the legal limits on the temperature of water they are allowed to put out. Nuclear powerplants aren't going to boil all the fish in the rivers. The solution to the problem is pumping more water. It costs a bit more, so the power companies aren't too keen on upgrading old pumping systems. Then there's evaporative cooling systems (those iconic cone shaped "smokestacks") which do not use running water for cooling but instead evaporate it in a closed loop, using much less water and returning none of the heat into the water system. And, you're making a double argument anyhow: you're assuming the temperatures will go up, regardless of whether we de-carbonize the energy sector. Alright, if that's so, then what's the point of having renewable power - if we're getting to the "rivers are boiling" territory of environmental conditions, you've got bigger problems at hand. The corollary to the nirvana fallacy is the apocalypse fallacy: this isn't going to work because we're going to hell anyways. The reactors at Fukushima are BWRs, which means there is no second loop between the reactor coolant and the cooling water. At TMI, they are on a river, but do not put the hot water back into it, because it is too much, so they built cooling towers which evaporate the river water to cool the reactors. Those cooling towers carry away 2-3 times the energy put into the powerlines.